After France announced on Thursday that it will support the changes to the gas directive in Brussels, which translates to halting the North Stream 2 project, the construction of a pipeline from Russia to Germany across the Baltic Sea, only a day later it was announced that Berlin and Paris nevertheless found a compromise solution. Diplomatic ties between Berlin and Paris were glowing between Thursday and Friday. With the support of the gas directive, a regulation under which Bruxelles could demand that the gas pipeline owner, that is, Russian Gazprom, does not have the right to simultaneously manage the system and be a natural gas supplier, the EU planned to stop or at least slow down this project. The main thesis was that the Russian gas pipeline would further turn northern European countries into hostages of Moscow dependent on the delivery of energy from Russia, and damage to Ukraine and Poland, which earned on the transit of Russian gas. In an agreement agreed between Berlin and Paris during the night, instead of formulating how the EU rules will apply to the territory of all member states and all the countries through which the gas pipeline passes, a form has now been introduced that the gas pipeline will be legally controlled by Germany and the European Commission will have greater control over all energy projects, and even above the North Stream 2, that too much does not become dependent on energy products from Russia. - This is a great day, without German-French co-operation, said German Chancellor Angela Merkel, who threatened the biggest foreign-policy defeat with the collapse of North Stream 2. Recall, French President Emmanuel Macron announced on Thursday that Paris will abandon the project and cancel its entry to the Munich Security Conference in mid-February. Otherwise, the work on the pipeline, which begins in Russia, and ends in Germany, is already going on greatly. 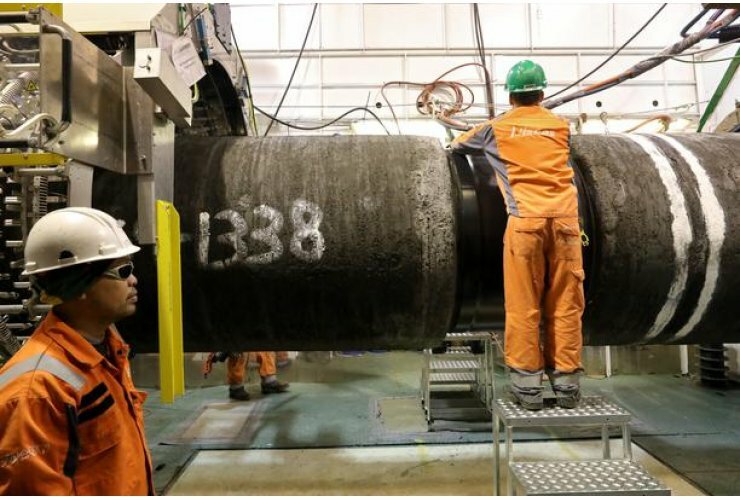 Every few kilometers of gas pipelines are laid, and the whole project is worth about 11 billion euros. The rapid agreement between France and Germany did not break the fact that the two big oil companies of both countries are involved in the project.